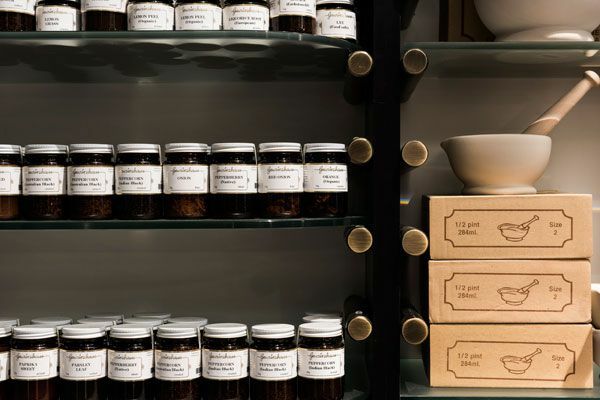 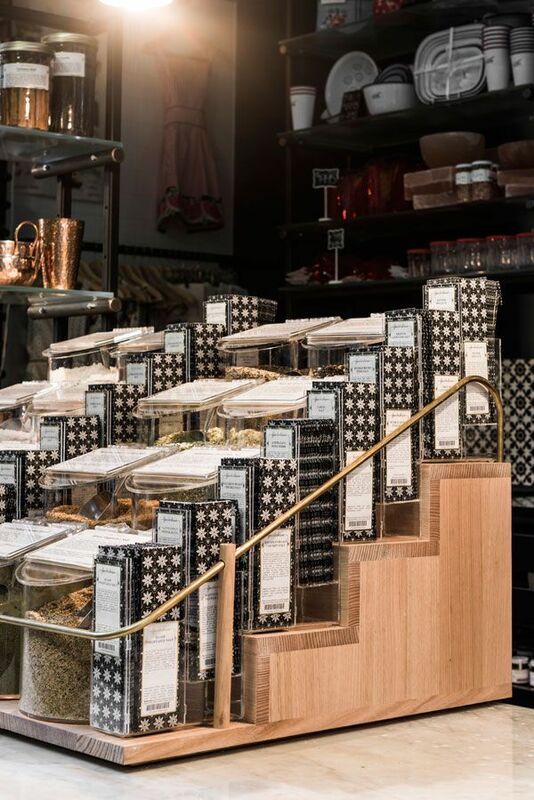 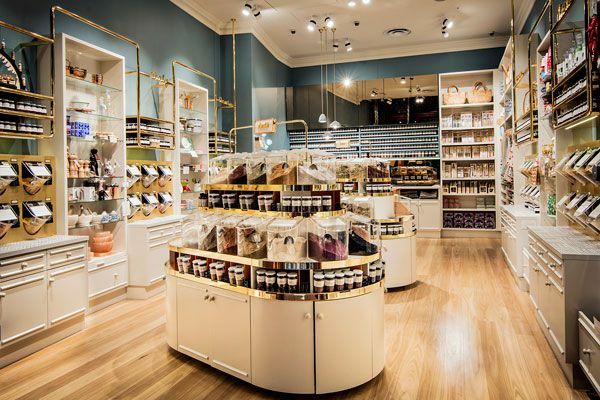 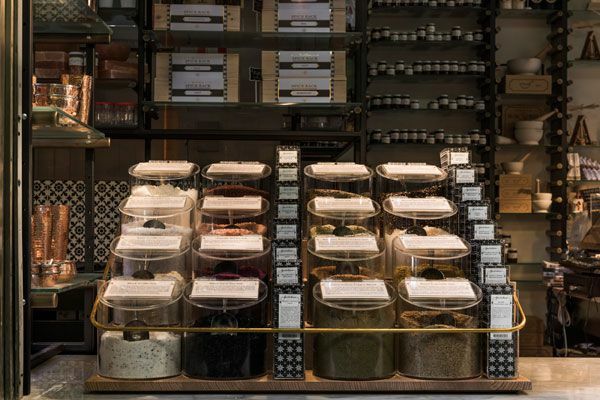 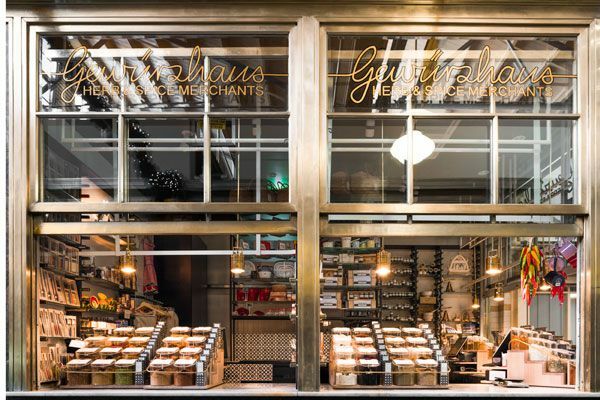 Old world sensibility and contemporary design come together in the newly opened Sydney and Melbourne Gewurzhaus spice stores. 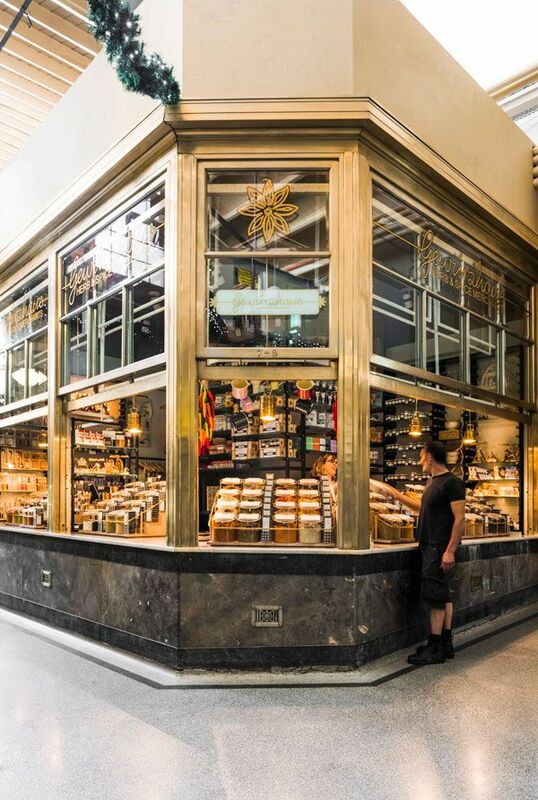 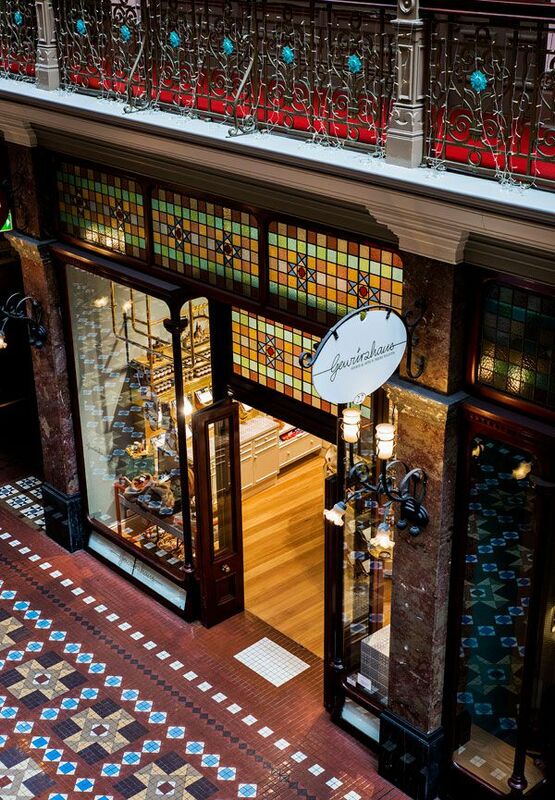 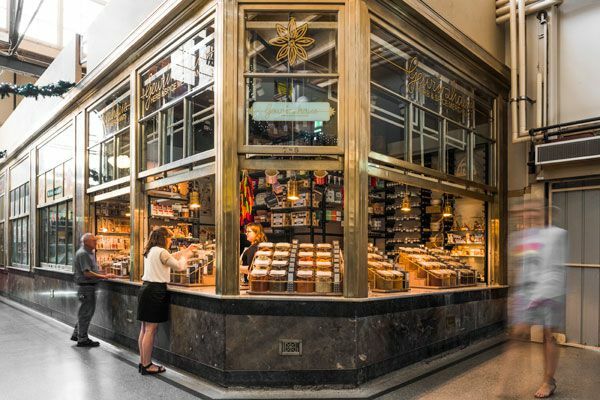 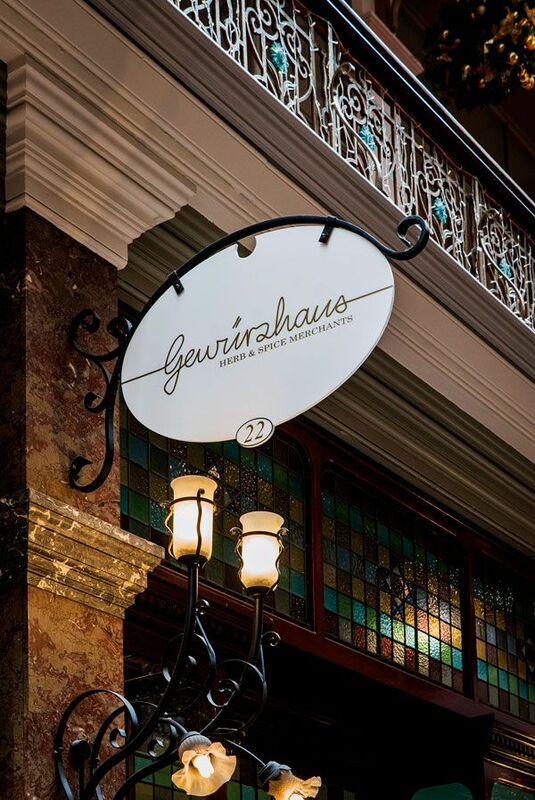 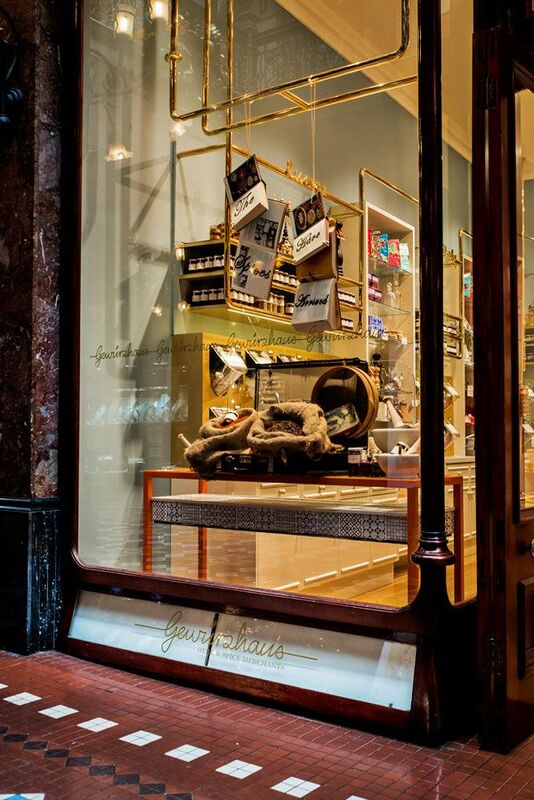 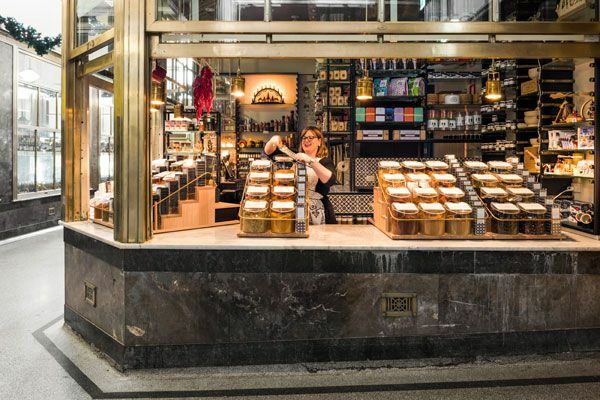 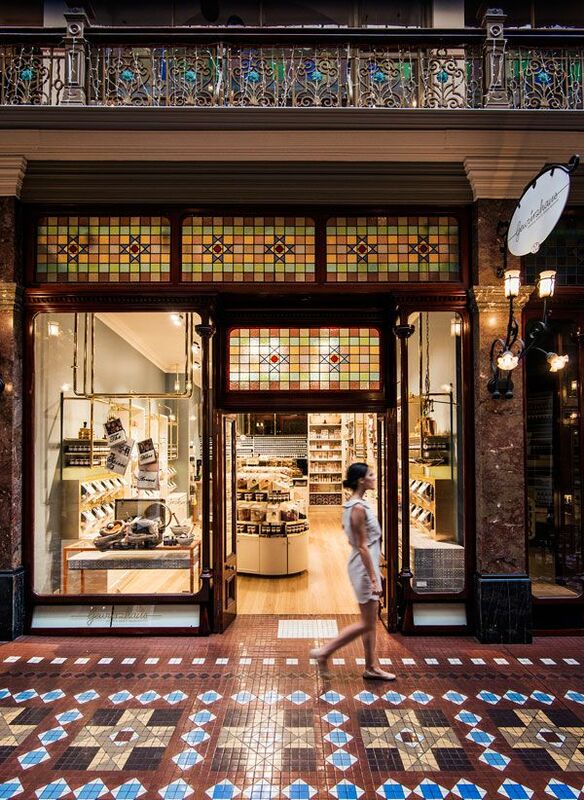 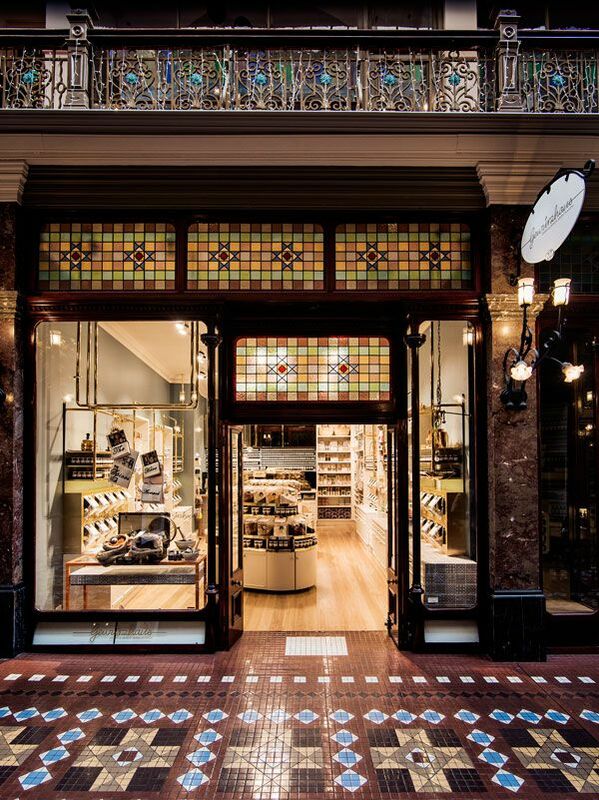 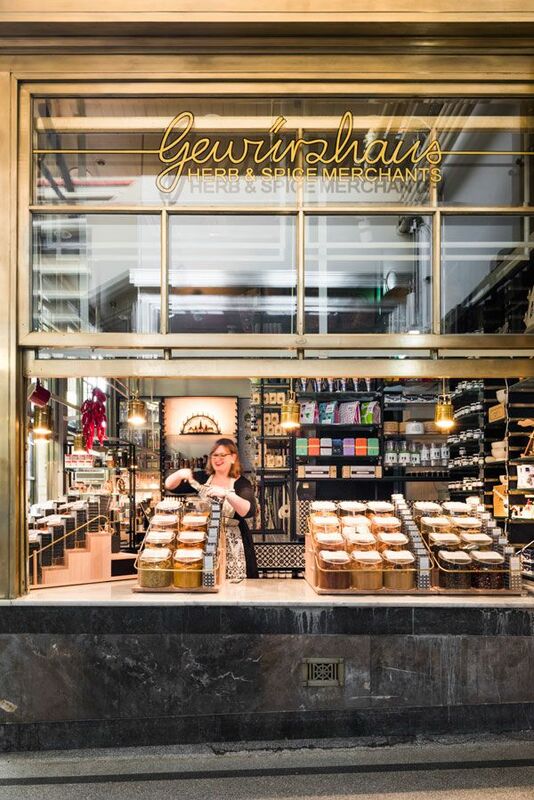 The Gewurzhaus Herb & Spice Merchants first Sydney store is opened in the Strand Arcade, whilst Melbourne’s Queen Victoria Market serves as the locations for the city’s fourth store. 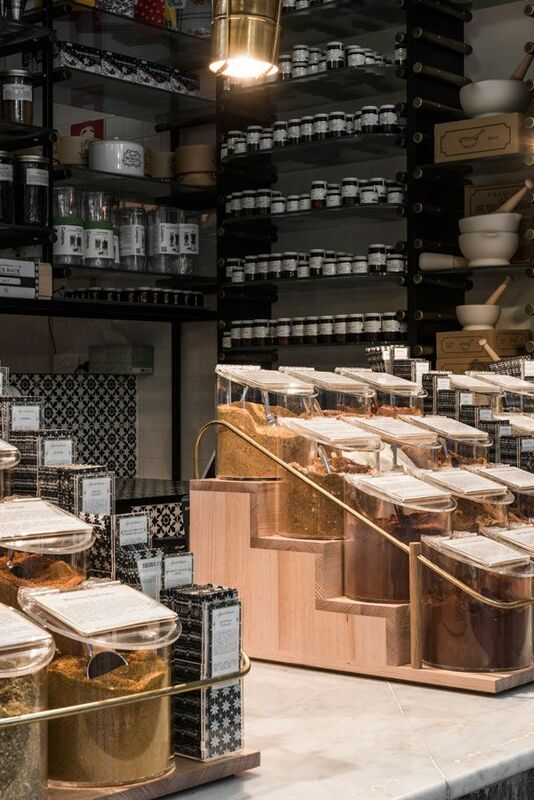 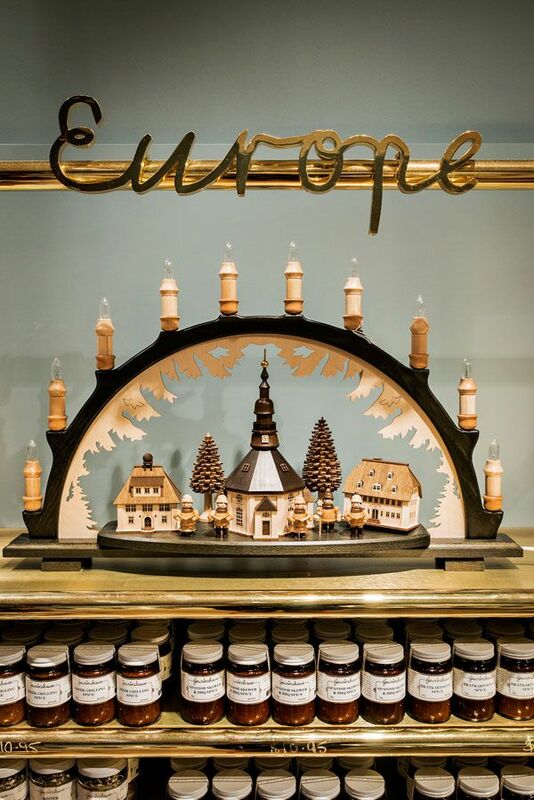 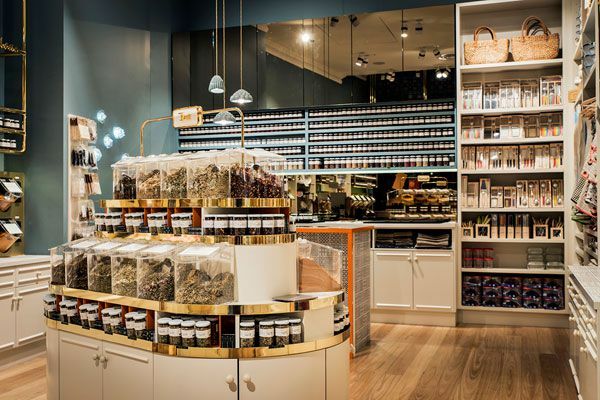 The stores designers at Doherty Design Studio harnessed the hands-on tradition of the traditional spice market, the classicism of the European retail experience and the contemporary thinking of today to entice and intoxicate food-lovers. 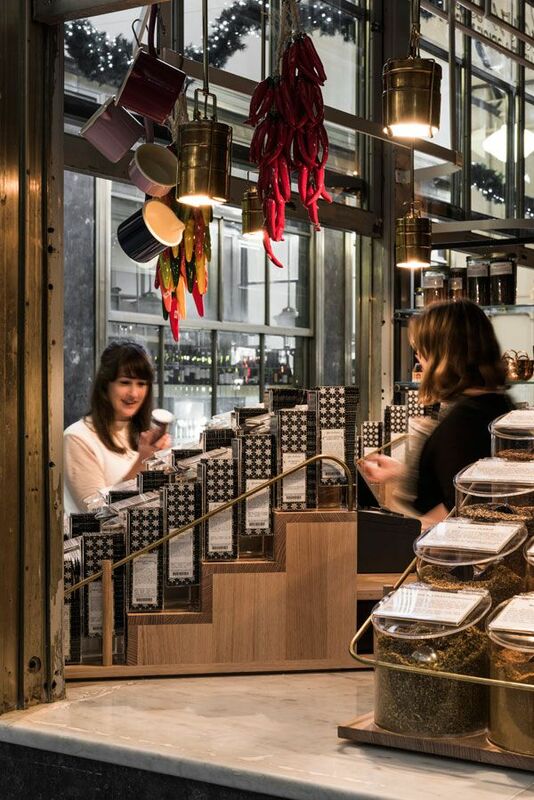 Being the city’s first store, the Sydney location was seen to have to introduce the ethics and provenance of the spice brand through a unique ‘destination’ experience, while the Melbourne store is all about the tradition of self-serve spice shopping. 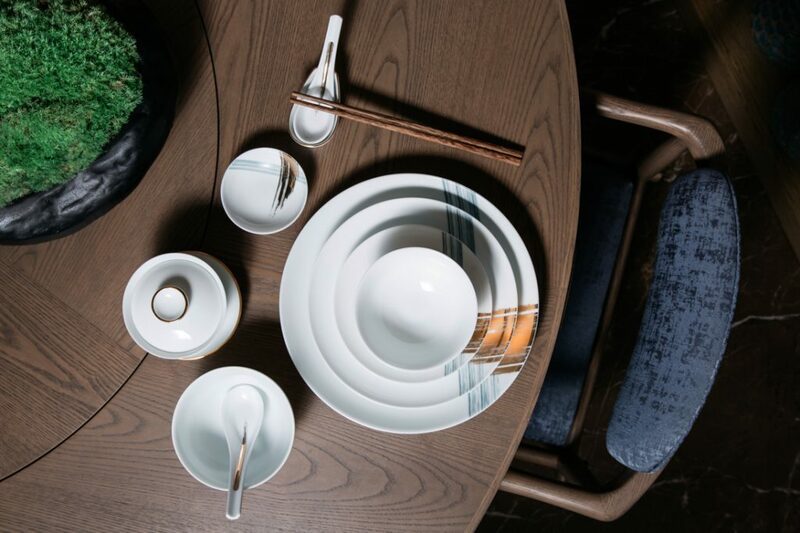 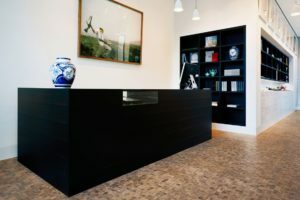 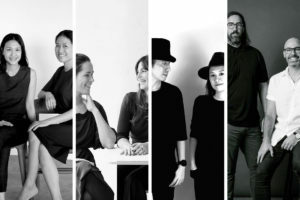 “We take our customers seriously, so asked Doherty Design Studio to combine 21st-century intelligence with 19th-century customer service and an attention to detail to express our heritage, our customers and our quality,” say owners Eva Konecsny and Maria Konecsny. 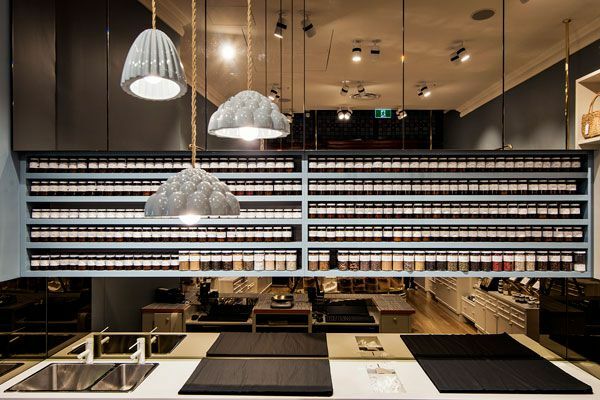 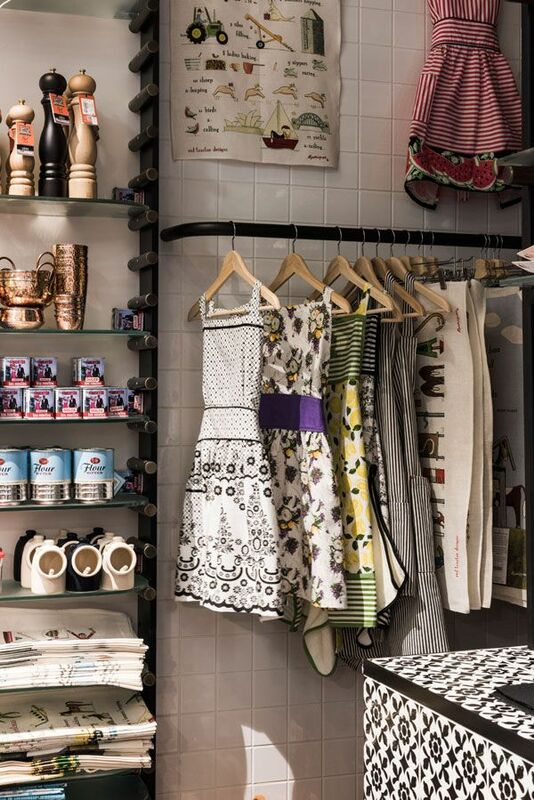 The Sydney store was designed to evoke the comfort of a kitchen and to encourage people to linger and explore. 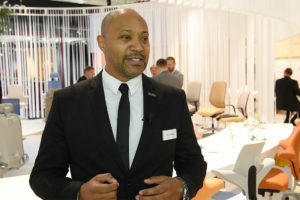 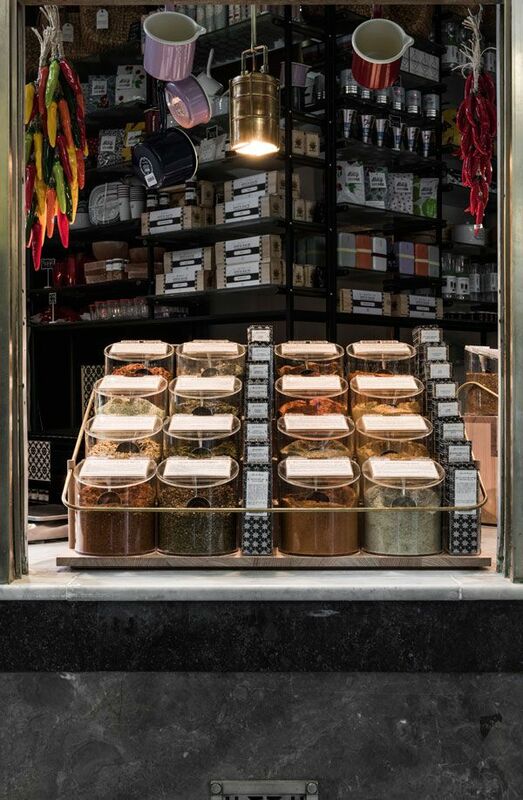 Display is the hero of the fit-out to showcase the spices, kitchen and cooking essentials and accessories. 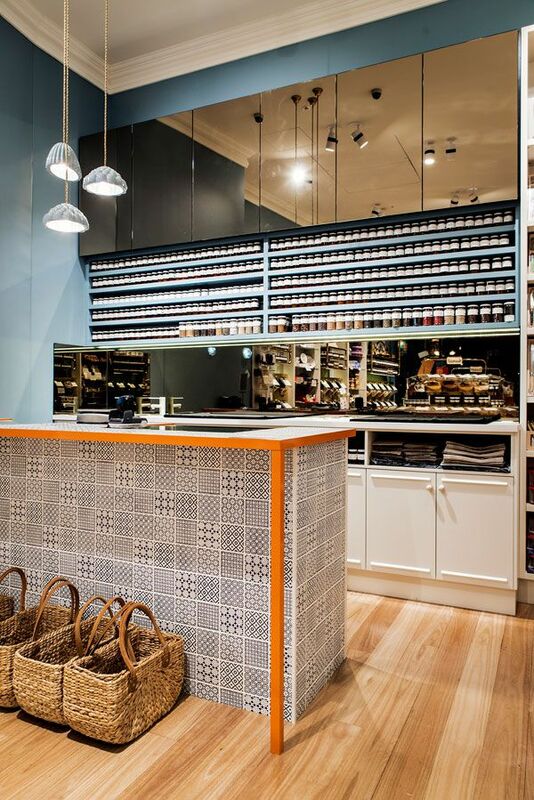 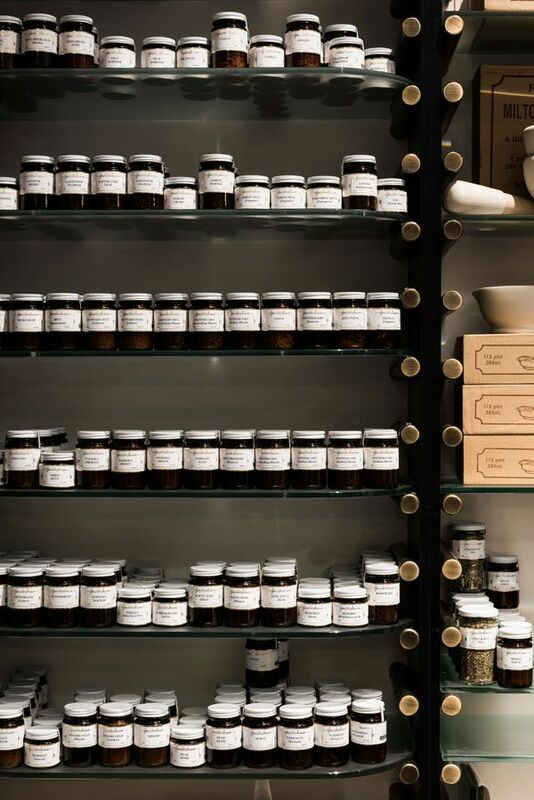 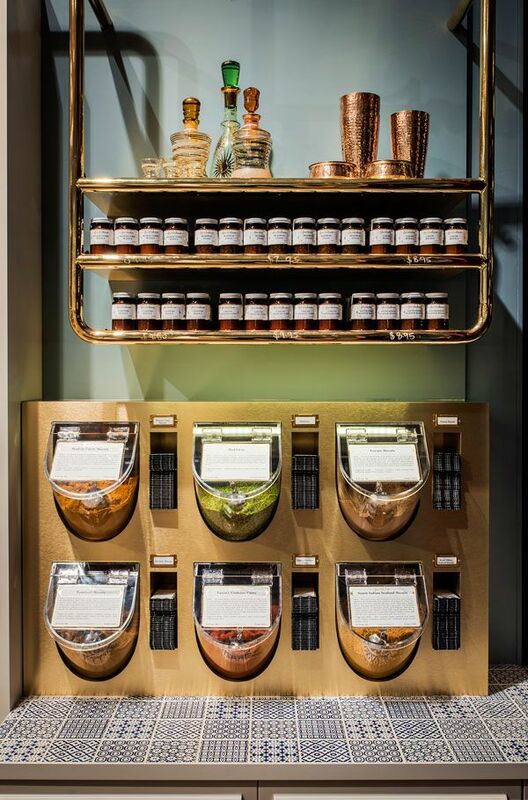 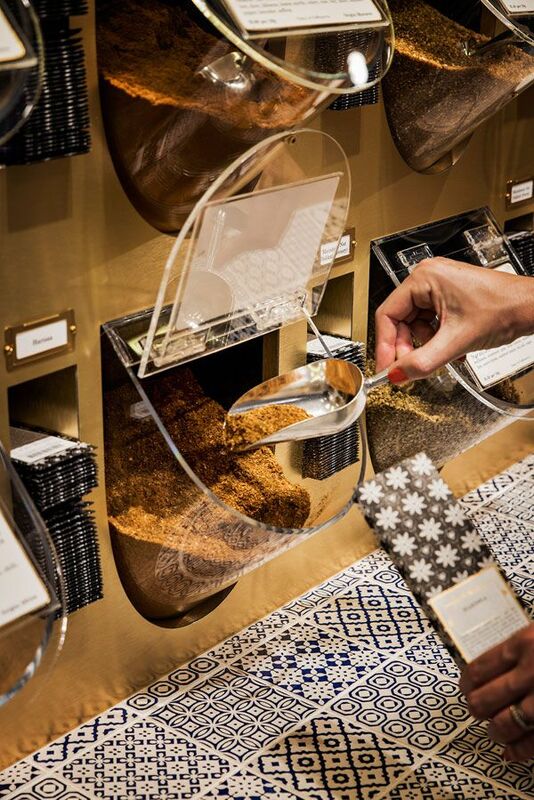 Spices are stored in softly curved acrylic tubs along the shop walls and display plinths in the centre of the store. 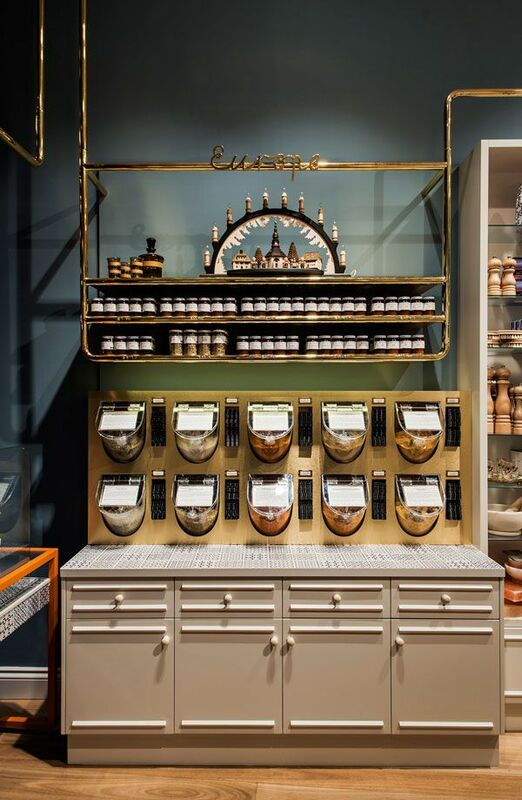 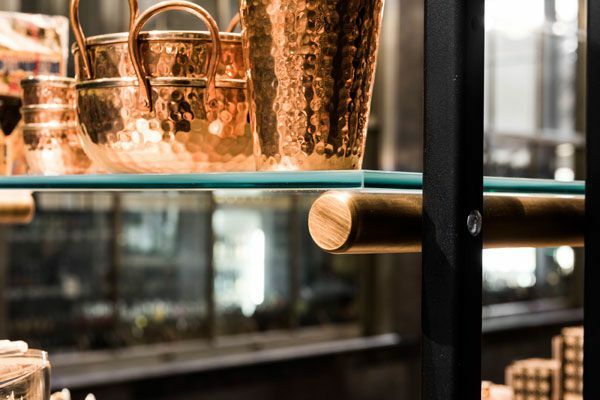 Brass detailing plays on Gewurzhaus’ gold brand colour and works with shelving to act as a common thread connecting the spices and revealing their different countries of origin as well as categories for Sweet, Salt, Tea and Peppers. 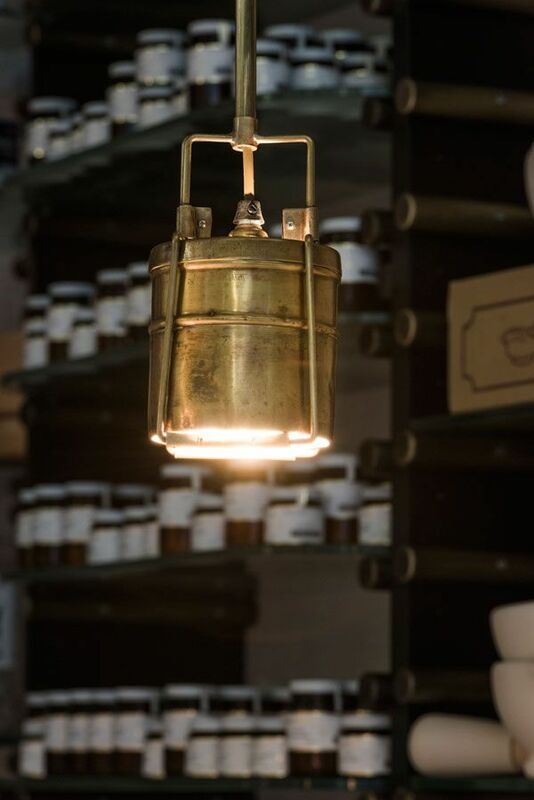 Bespoke lighting, a signature of Doherty Design Studio, is in the form of pendants that take their shape from jelly moulds. 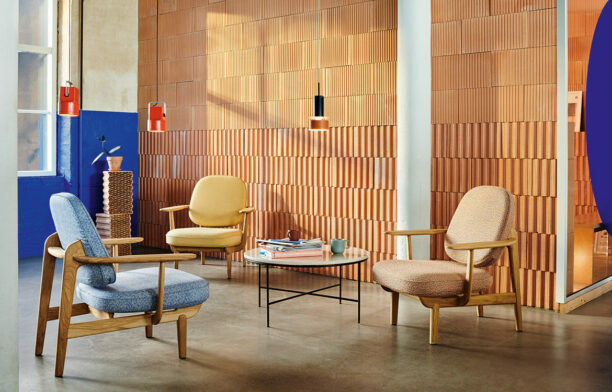 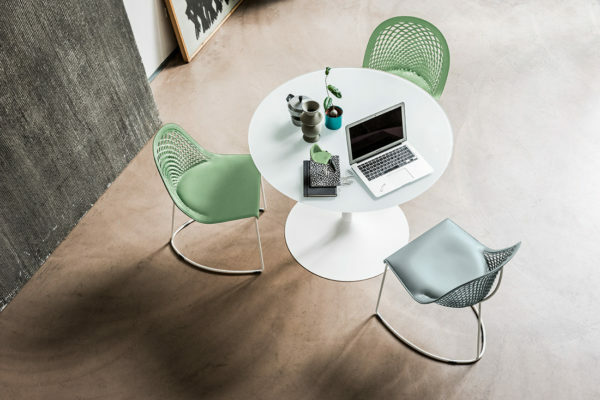 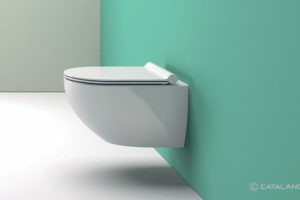 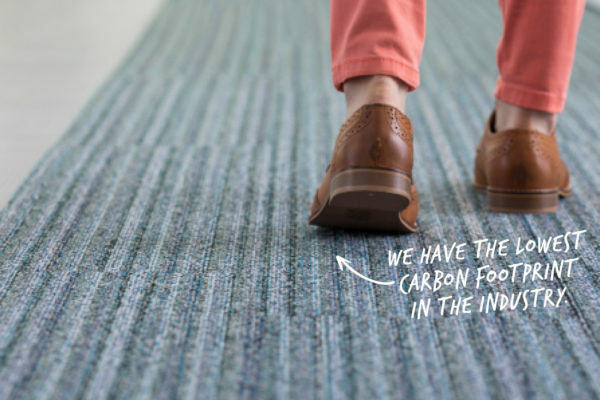 This adds a quiet element of quirk and underpins a sense of contemporary-meets-traditional design values. 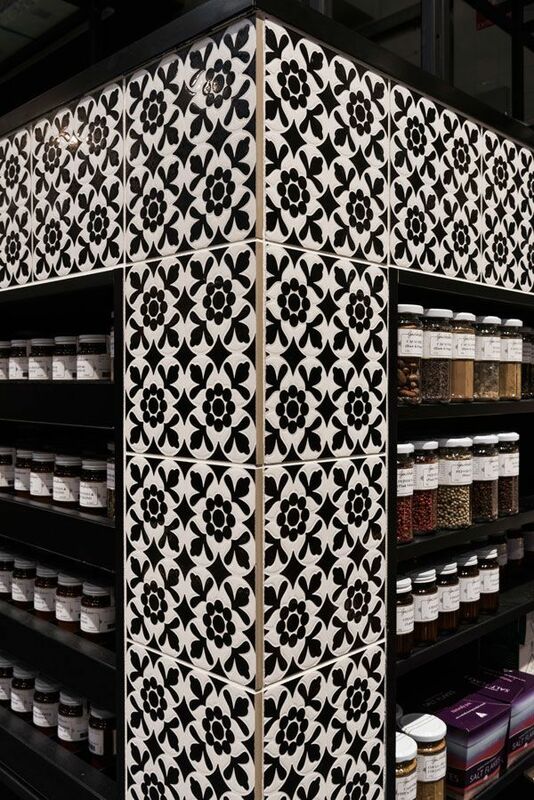 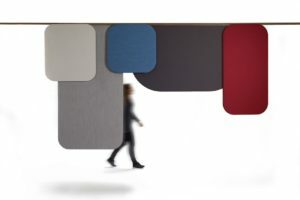 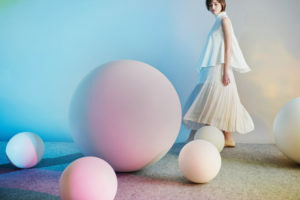 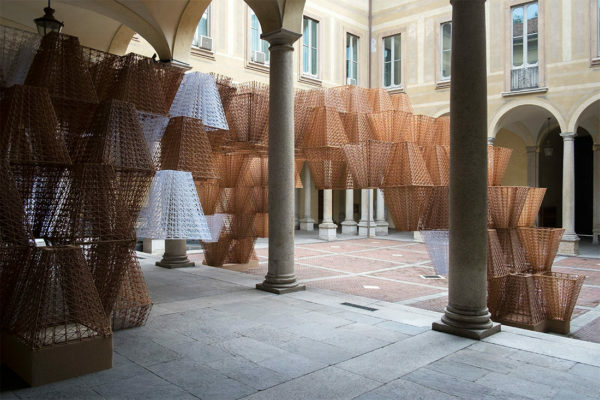 The result is a design that references the traditional spice markets of exotic locations throughout the world, but answers the owners’ desire for a contemporary take on traditional German styling through materiality.